Nimbuzz, a free-of-cost messaging and mobile social entertainment application, has announced that it has reached the 50-million mark in terms of registered users worldwide. Nimbuzz allows users to meet, share and connect with family and friends, and is available across platforms such as Symbian, iPhone, iPod touch, Android, BlackBerry and J2ME, as well as Windows and Mac desktops. Web and WAP clients are also available. Nimbuzz users spend 3.7 billion voice minutes on a yearly basis and an average user has around 203 contacts in his list. 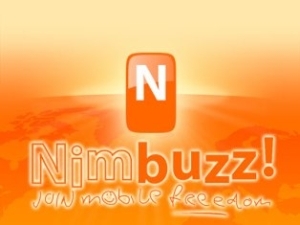 The registered user base of Nimbuzz has increased by more than 28 million since July last year. According to Nimbuzz, 100,000 new users join every day and, on an average, a Nimbuzz user spends two-and-a-half hours daily on the mobile app while they spend more than four hours on the desktop app. In terms of competition in India, Nimbuzz will face off against the likes of Skype, Fring and TruPhone. Fring offers similar services like integrated IM, coupled with Mobile VoIP, and is currently adding more than 1 million users a month. It is also being used for more than 10 million video call minutes and more than 100 million voice minutes per month. Skype, on the other hand, had a total of around 1 billion user accounts in 2010 and Skype-to-Skype minutes were calculated in excess of 12.7 billion minutes. Jamshed V. Rajan, country head of Nimbuzz India, said, "Indian users are soon going to see their favourite messaging application turn into a full-fledged mobile social entertainment app. Some of the India-specific features, which have been added in the last couple months, have been a roaring success, and we plan to build on them in future." Nimbuzz currently supports more than 5,000 handsets and its user base has doubled in less than a year. Also, Nimbuzz Ping (an SMS-based push notification system for feature phones) is very popular among users across the globe. Andrei Piftor, communications manager of Nimbuzz said, "We will leverage and improve our existing mobile social graph and add an entertainment layer to our existing proposition. By doing this, we aim to offer a richer user experience with access to social games, virtual goods and local daily deals."